↑ "National Population Census 2011" (PDF). मूल (PDF) से 24 January 2013 को पुरालेखित. अभिगमन तिथि 6 November 2012. ↑ "विराटनगर महानगरपालिका | नेपाल सरकार". biratnagarmun.gov.np. अभिगमन तिथि 2017-01-22. ↑ "Biratnagar celebrates its status of provincial capital". thehimalayantimes.com. 19 January 2018. अभिगमन तिथि 19 January 2018. ↑ "Locals intensify protest in Dhankuta after Biratnagar named as provincial HQ". kathmandupost.ekantipur.com. 19 January 2018. अभिगमन तिथि 19 January 2018. 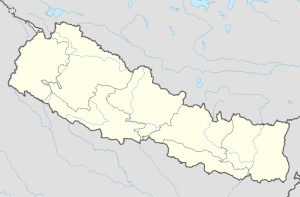 ↑ "Nepal government announces Provincial Capitals and Chiefs". ddinews.gov.in. 17 January 2018. अभिगमन तिथि 19 January 2018.